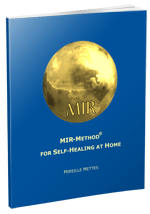 It is interesting to see that many people use the MIR-Method for their animals. And with good results! Dogs, cats, horses flourish! Animals are far more susceptible to the MIR-Method than people which makes the results more clear and even astonishing! Have a look at the results with animals. I am so excited to put your method into use for myself , my clients..friends…family and my pets and others animals that I work with. Could you tell me where I can find I for,action on how to do this method on animals please? I want to than you from the bottom of my heart for the great work you are doing to help heal all people and all beings and healing also the planet! You are indeed doing great work…sacred work and I am definitely going to spread the word about you and this method to everyone possible as soon as I have the finances I will order some of the things you have offered here and I will also help by a donation. Currently my finances need healing too…and I know that will also happen as I achieve health again myself! I am a reiki,master and reflexologist and eft practitioner…I love the simple direct way of your method I can see that this is going to do huge hearings!!! Bless you and all those around you. Thank you SO much for your kind words and encouragement! Please do not feel obliged about the money. Just realize how you help us already BIG time by giving the method to others! To treat animals, first tell the animal you want to do the MIR-Method and wait a few seconds to see how it responds. Then start stroking and while stroking just say the words. Many animals love the energy and will lie down to receive the stroking. Hope it works fine for you! Thank you for embracing the MIR-Method! Guita Roy liked this on Facebook.